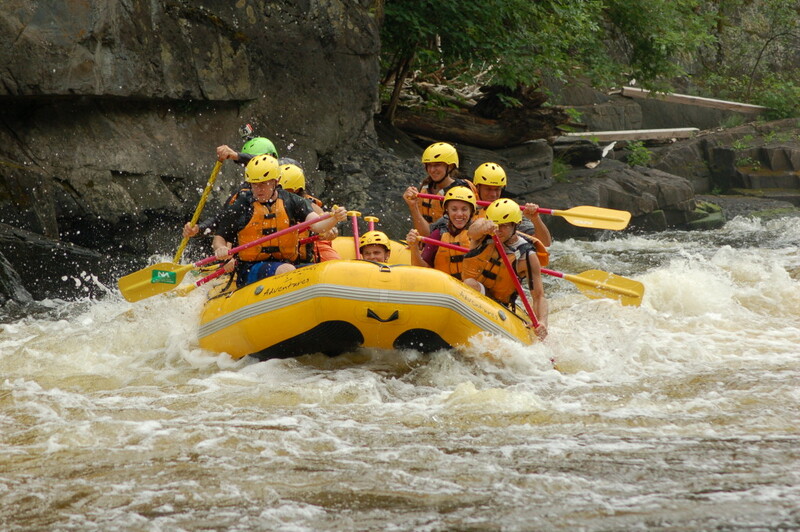 If you’re looking for a place in Michigan with whitewater rafting opportunities that may remind you of those out West, Piers Gorge is a great place to visit. 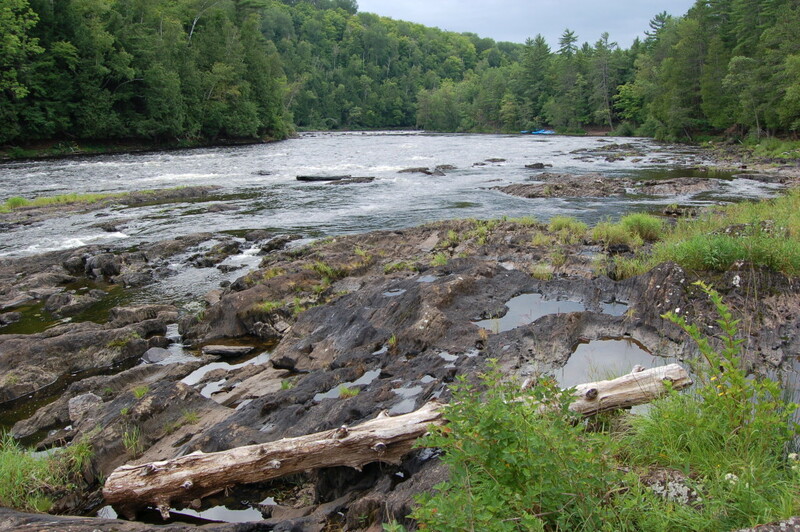 The Michigan DNR created the Menominee River State Recreation Area, Piers Gorge Unit in 2011, showcasing some of the fastest-moving water in Michigan, waterfalls, hiking trails and wildlife viewing opportunities. 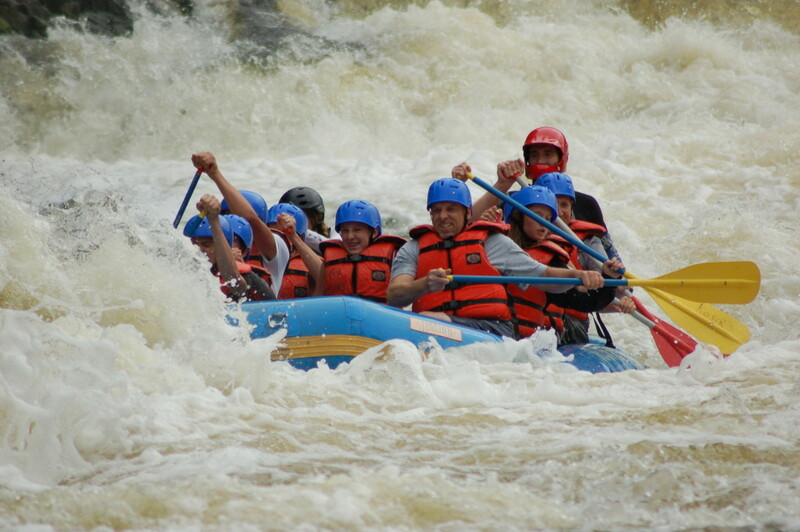 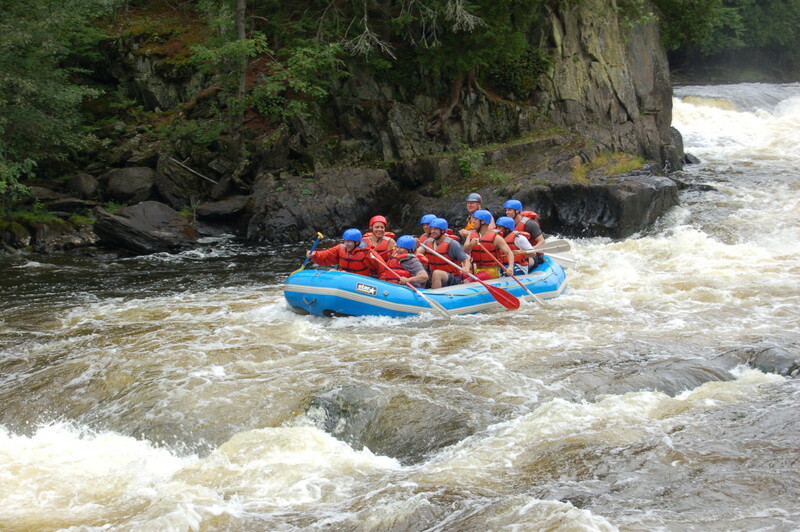 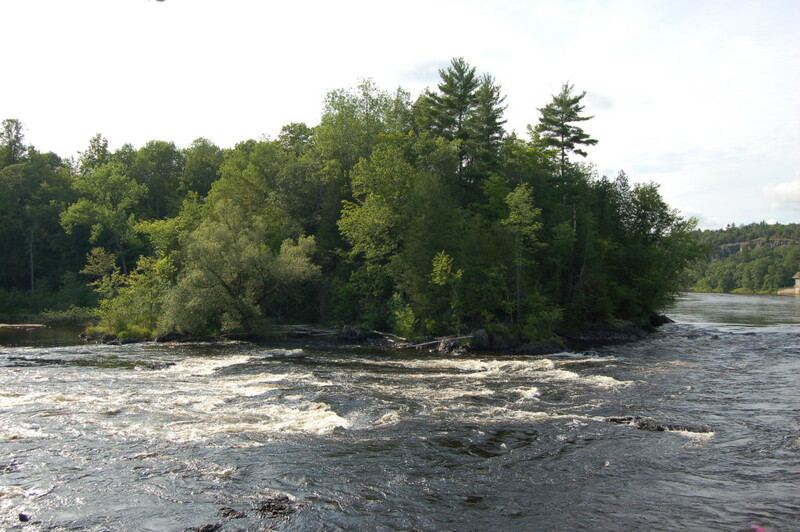 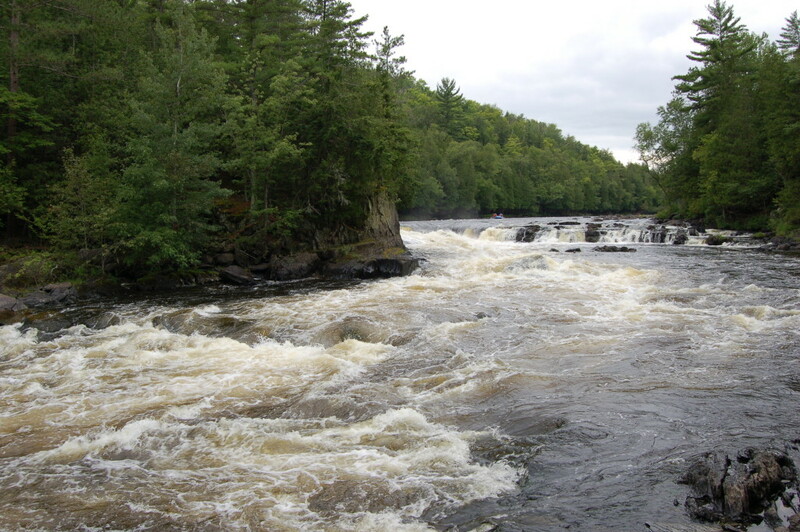 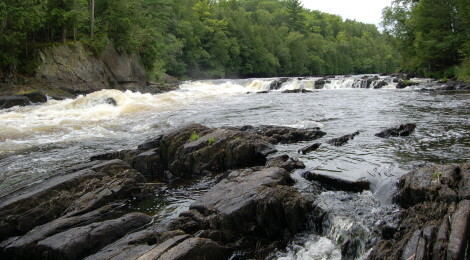 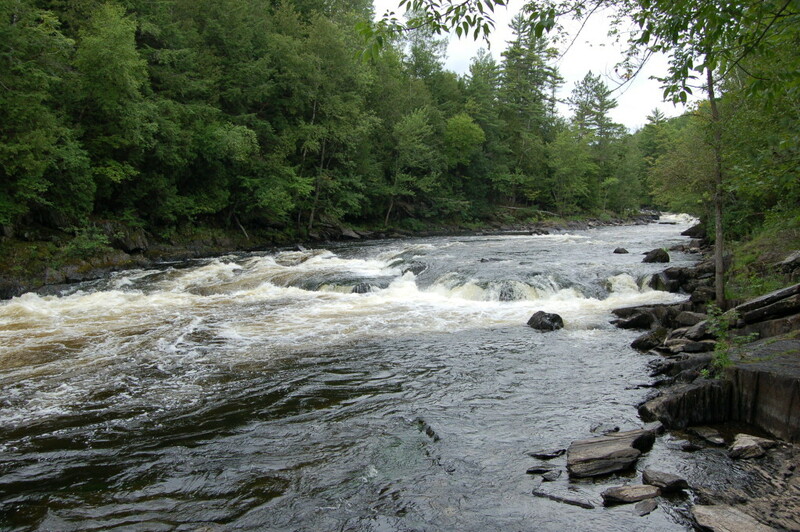 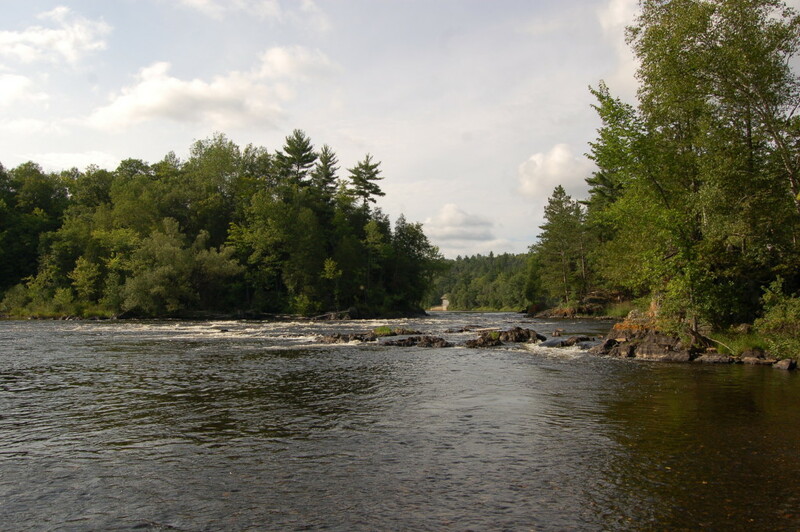 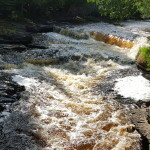 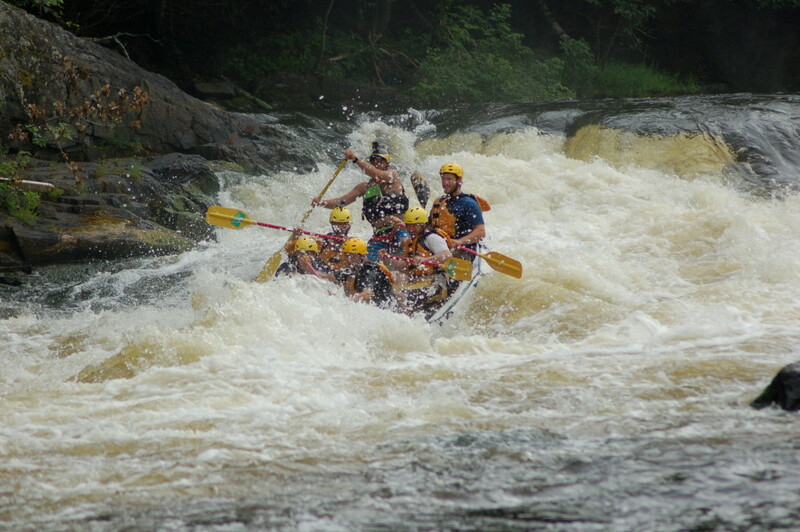 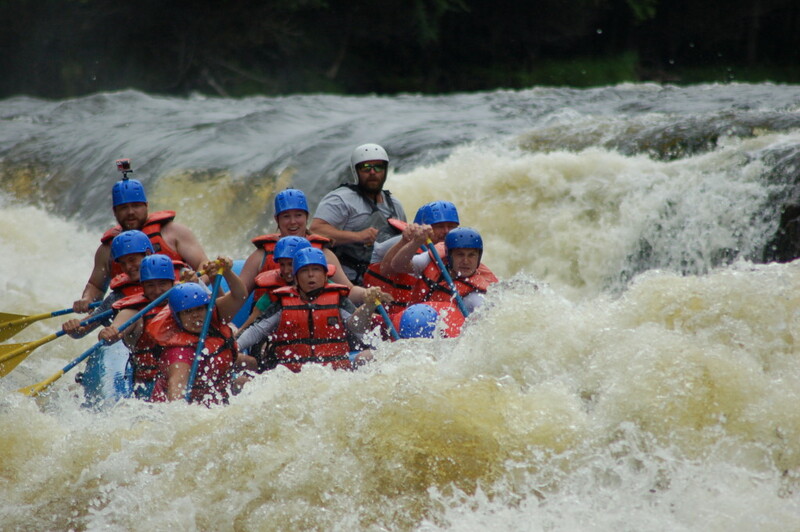 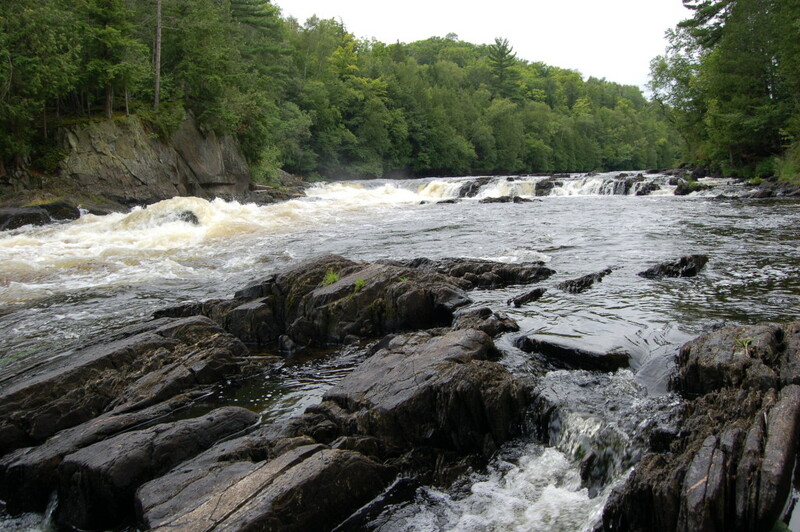 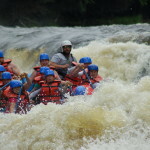 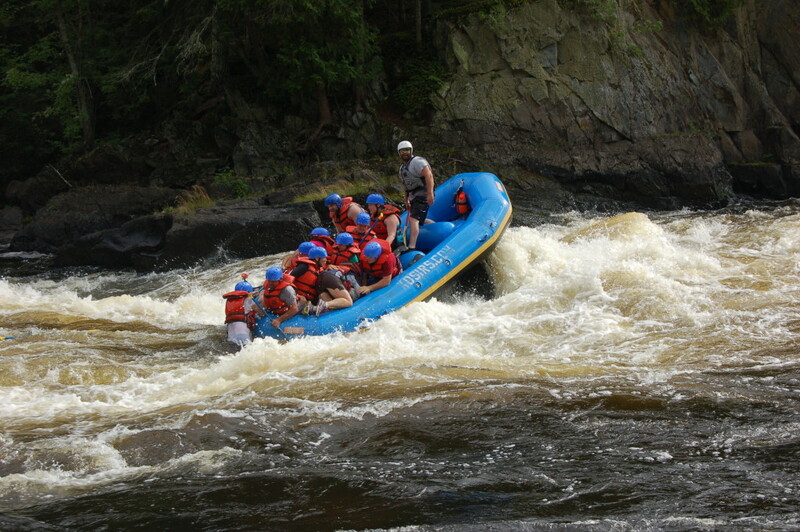 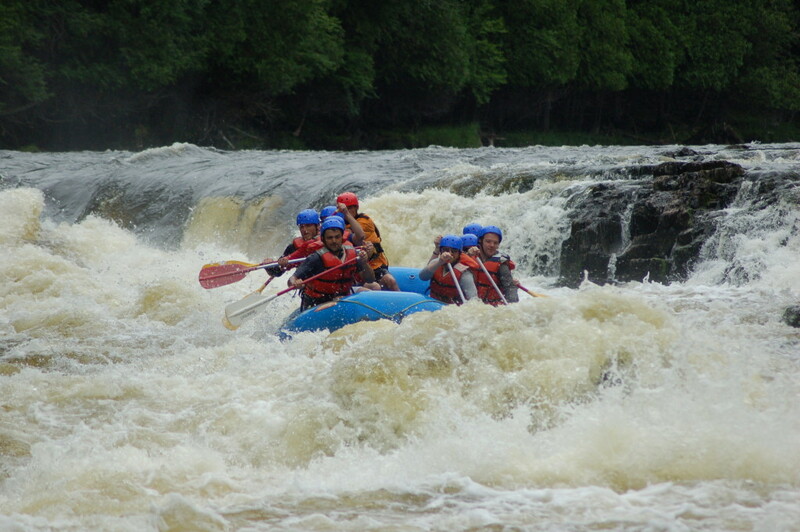 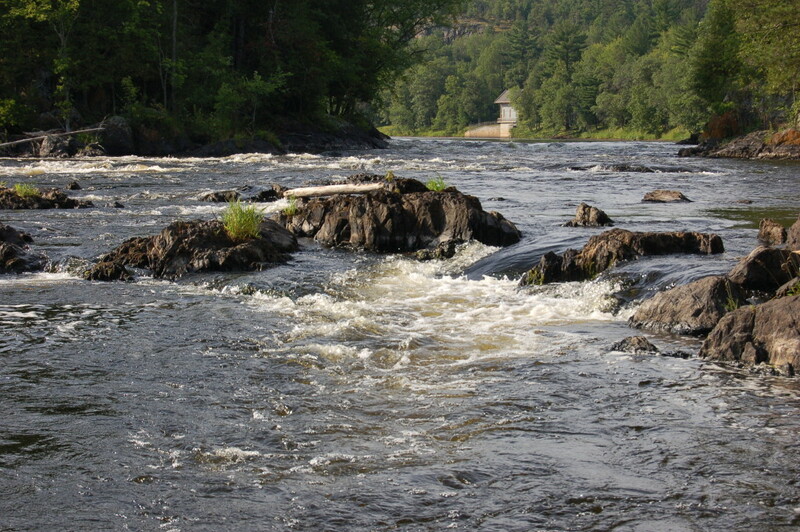 The Menominee River forms the border between Michigan and Wisconsin, and is a popular place for expert kayakers and several whitewater rafting companies. 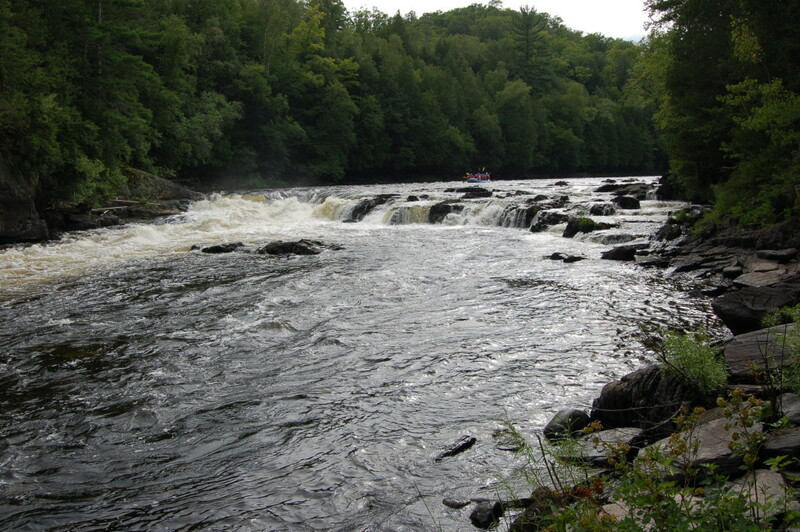 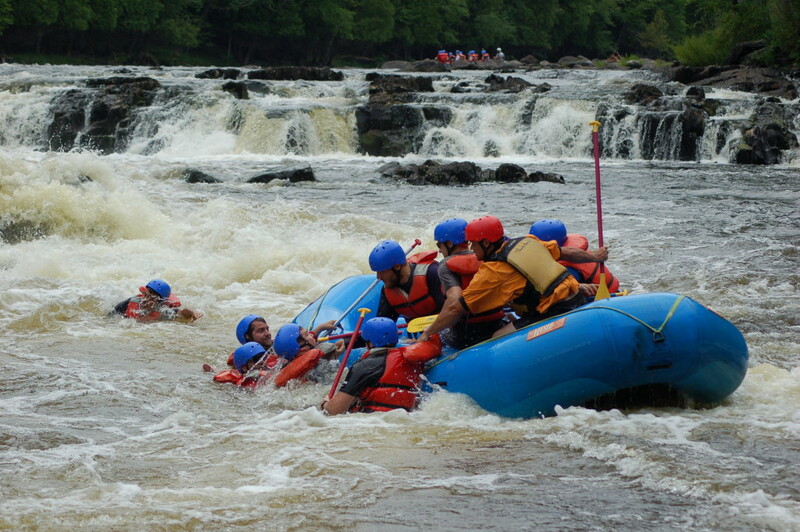 Misicot Falls, the largest drop on the river, is a 20 foot drop at a place where the river is 80 feet wide. 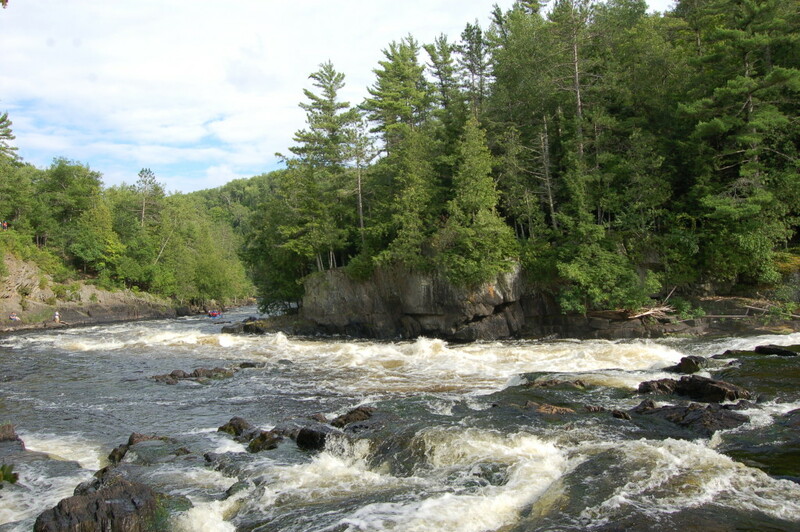 This has become one of our favorite places in the Western Upper Peninsula, and today we showcase some photos from our trip there in 2015, as we hiked the trail past the first and second piers to Misicot Falls and Sand Portage Falls and spent some time watching rafters “shoot the falls” with varying degrees of success. 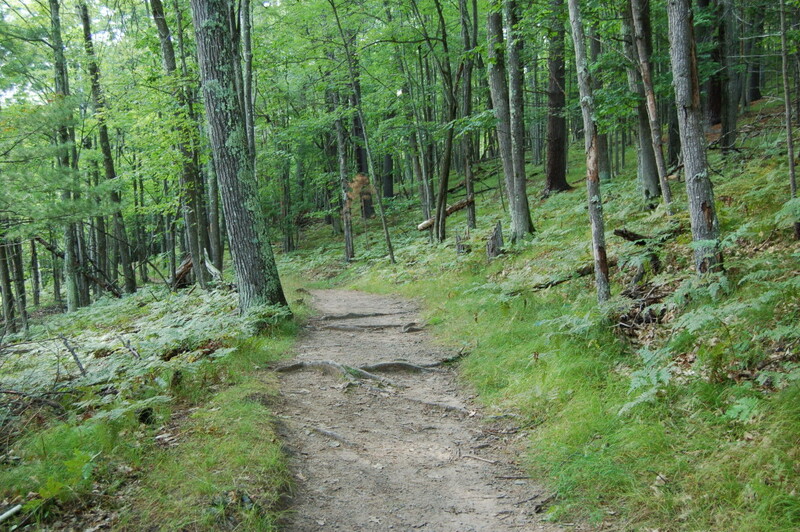 The hiking trail is fairly wide and smooth in most spots, though some uphill and downhill sections could prove challenging for some hikers. 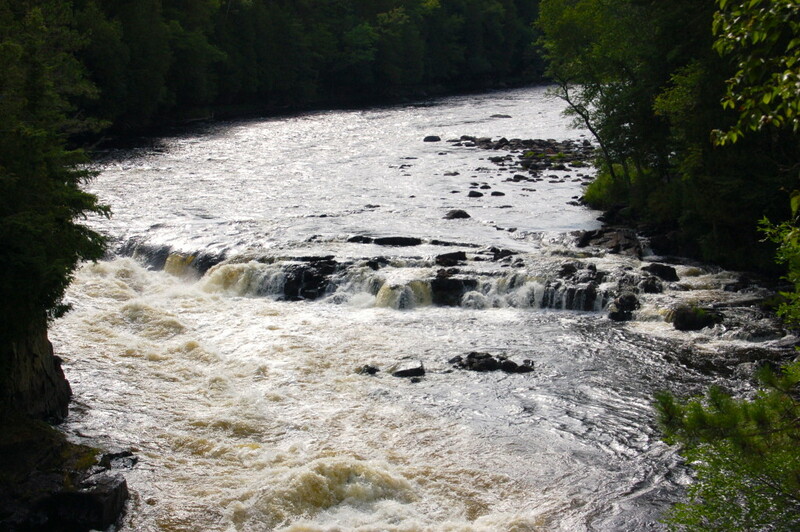 Be sure to check out the Norway Viking Ship on your drive down to the falls – a 2-mile drive south on Hwy. 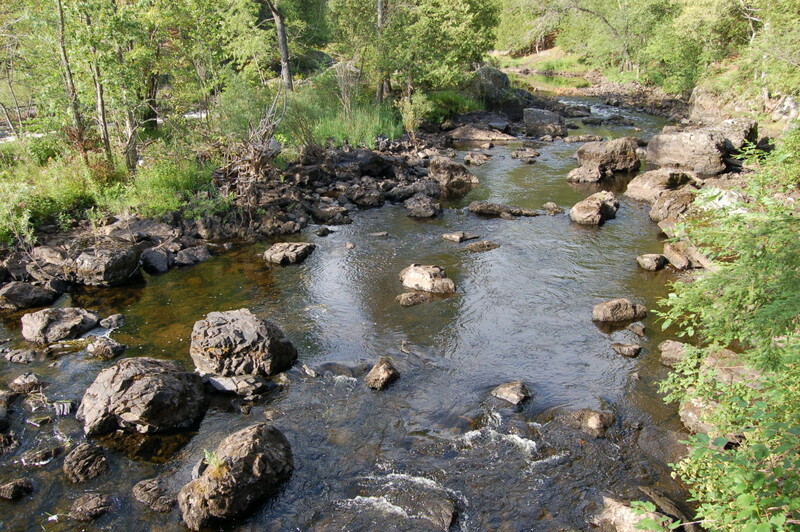 8 from its intersection with US-2. 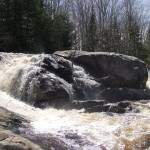 Other waterfalls within a short drive include Fumee Falls near Iron Mountain and Chicagon Falls near Bewabic State Park. 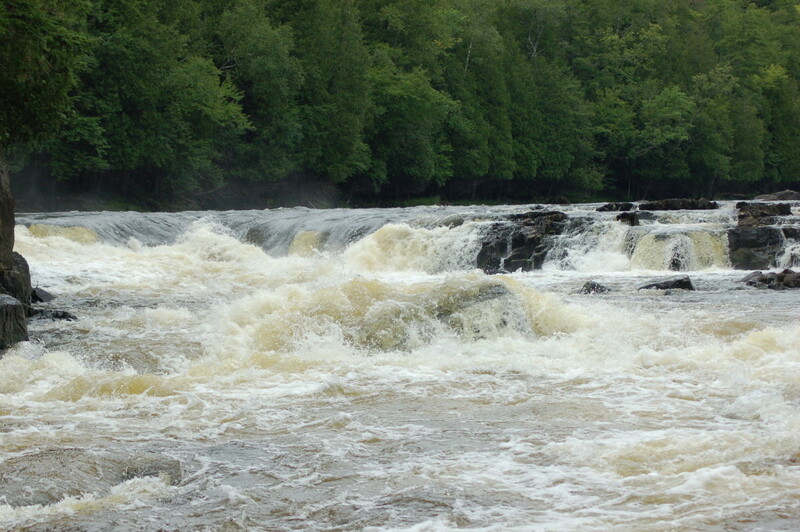 In Escanaba about an hour to the east, you’ll find historical attractions like the Sand Point Lighthouse and dining options like Hereford & Hops – as well as plenty of Upper Hand Brewery beer on tap and in stores. 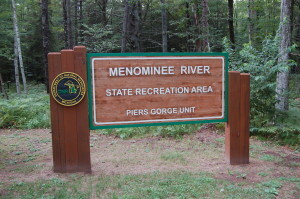 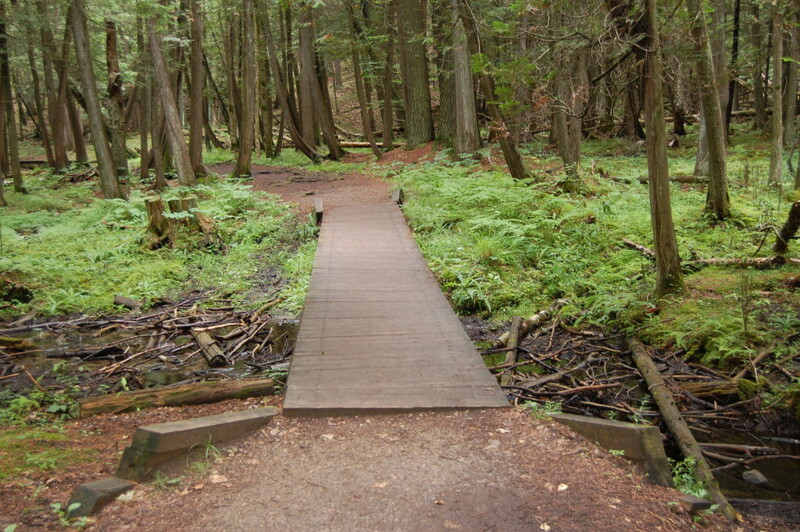 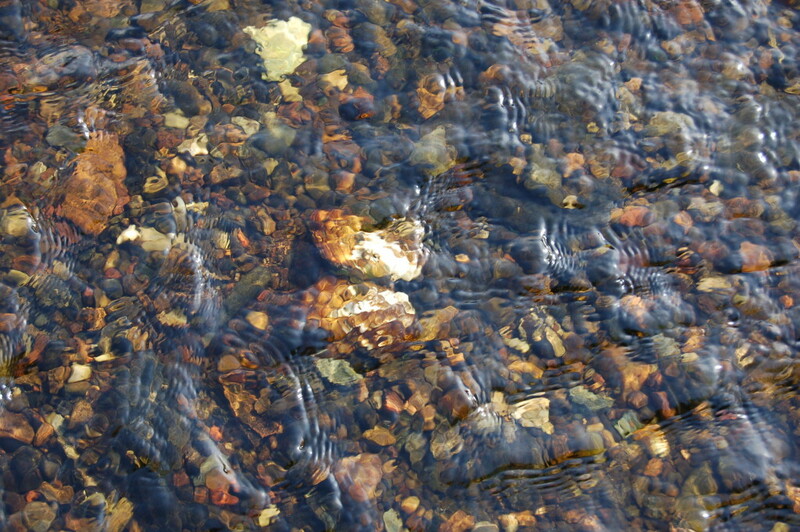 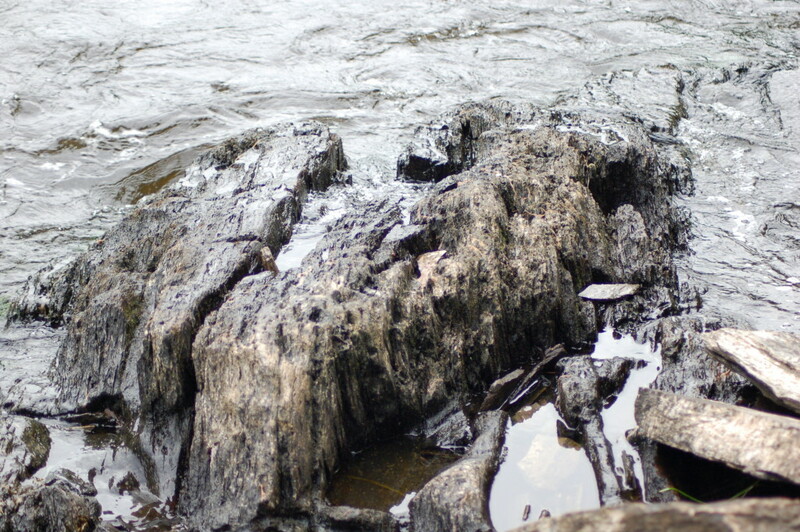 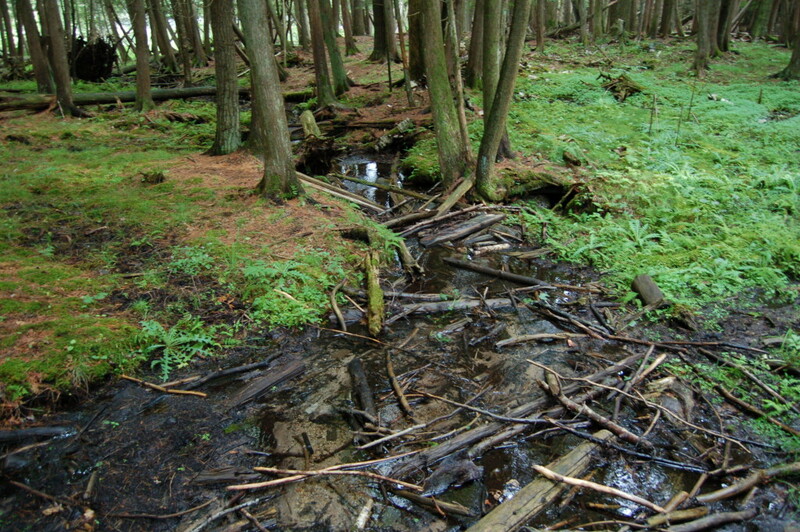 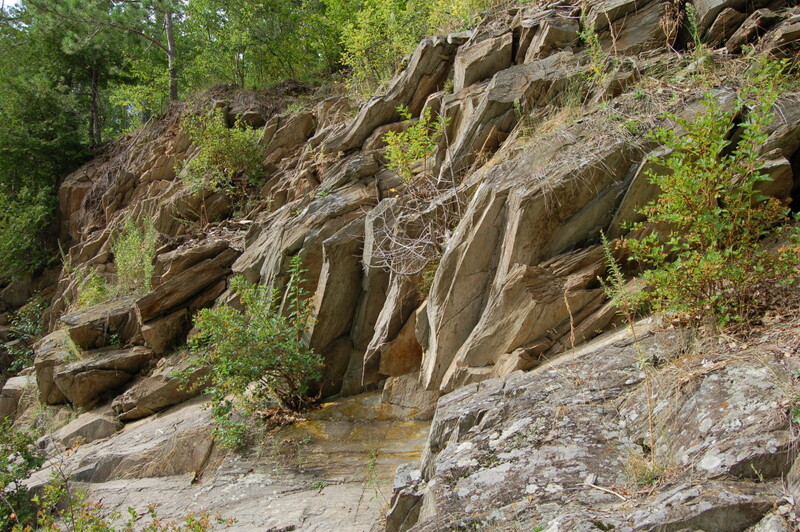 State parks within a short drive include J.W. 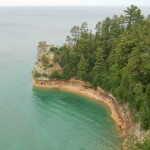 Wells State Park on the Lake Michigan shoreline and Bewabic State Park in Crystal Falls.